The Design Commission has approved designs for full block, 20 story mixed use tower at 140 SW Columbia St, designed by GBD Architects. The project for Texas-based developer Alamo Manhattan will include 349 residential units, 15,000 sq ft of ground floor retail space within the ground floor. An above grade garage will include 236 vehicular parking spaces. 521 long term bicycle parking spaces are proposed. Every week, the Bureau of Development Services publishes lists of Early Assistance applications, Land Use Reviews and Building Permits processed in the previous week. We publish the highlights. This post covers December 25th to December 31st, 2017. 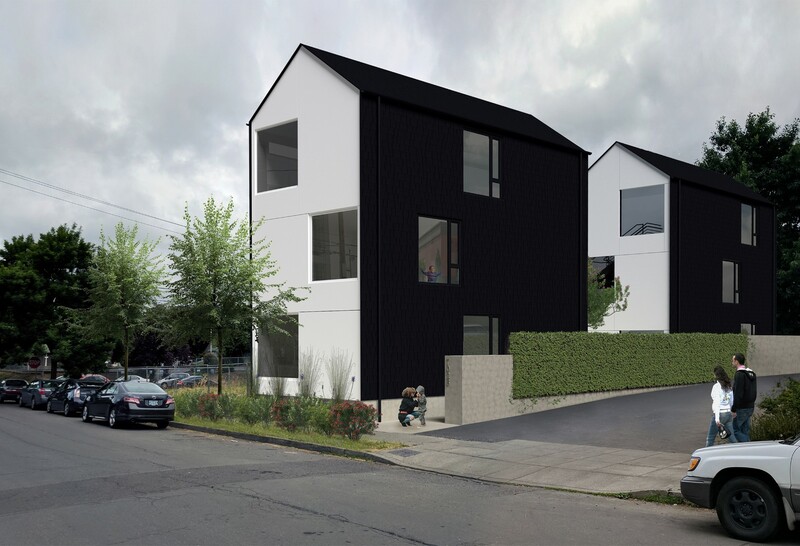 Current code – New 3/4 block seven to nine story building housing PSU, OHSU, PCC, and the City of Portland. All runoff will be directed to a water quality flow-through planter which will discharge to the public storm-only sewer main. Historic Landmark – Change the use of the 2nd and 3rd floors of the existing building from apartments to hotel/hostel guest rooms. The ground floor use will be a gastropub. Proposal includes the addition of a new covered, unenclosed outdoor seating and an enclosed bar. The existing stair, new stair, and the elevator will be extended to the rooftop. A green roof will be installed. All new rooftop equipment will be installed away from the west and south street frontages and will be set back from the exterior walls. Exterior work proposed includes (but is not limited to): Masonry work: repoint and clean deteriorated portions. The existing metal cornice will remain. Windows: Installation of new aluminum-clad wood windows at the primary street-facing elevations. Groundfloor storefront cladding: Installation of aluminum profiles and panel trim configuration at the storefront, low wall, and columns to match the historic conditions. Remove the stucco panel cladding currently in front of the transom windows and restore the wood transom frames and sash. Installation of new insulated glass panels in the existing sash to meet current energy code. Ground floor entrances: Installation of new full glass light wood doors and install in aluminum storefront frame to match proposed ground floor storefront (maintaining the existing transoms above the doors where original). Replacement of existing fascia with new to match existing. Changes to entrances. Installation of new metal and glass awnings. Bob Frasca of ZGF Architects, who “helped define Portland’s skyline“, passed away at the age of 84. Eater Portland reported that Pine State Biscuits, Life of Pie Pizza and Moberi will be moving into the George Besaw Apartments, currently under construction on the site that was formerly home to Besaw’s Restaurant. According to the Portland Business Journal Amazon will nearly double its current Portland footprint by taking 85,000 sq ft in the Broadway Tower. The new theater at the Lloyd Center, designed by LDA Design Group, is set to go in front of the Design Commission later this month. The Oregonian confirmed that the Lloyd Center Sears will close. The Lloyd East Anchor Remodel project will replace the store with a new 14 screen theater. 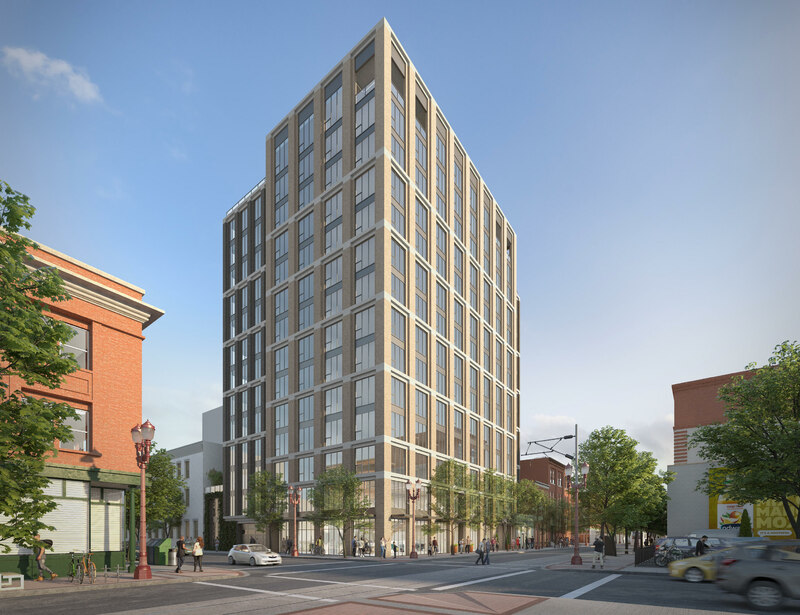 The Willamette Week reported that the affordable housing at Framework, the Pearl District cross-laminated timber tower, will come at a high price. 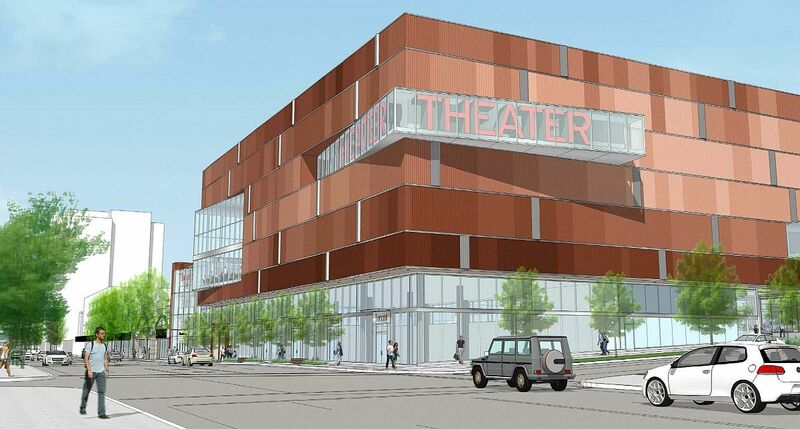 In order to pay down debt the Artists Repertory Theatre plans to sell half of its property at 1515 SW Morrison St to a developer of a 218-foot residential tower with 296 units, writes the Willamette Week. The Business Tribune reported that The Thornton apartments, previously known as the Tess O’Brien Apartments have been sold to San Diego based commercial real estate investment firm SENTRE. Every week, the Bureau of Development Services publishes lists of Early Assistance applications, Land Use Reviews and Building Permits processed in the previous week. We publish the highlights. This post covers December 11th to December 17th, 2017. Current Code: Request for DA for multi-story urban self-storage building with ground floor commercial space. 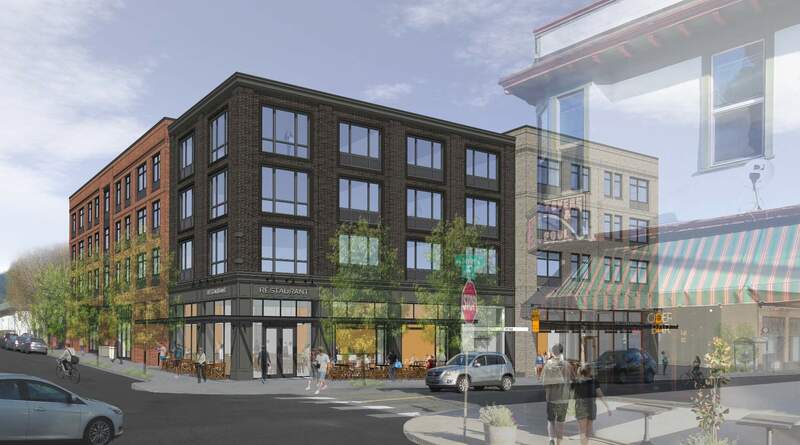 Future Code: Project is to evaluate options on this property which include an apartment building, a mixed use building both with or without parking and doing a land division. Current Code: Project is to construct a new four story 18 unit apartment complex. Existing structure will be removed. New 12 unit 2 story apartment building. 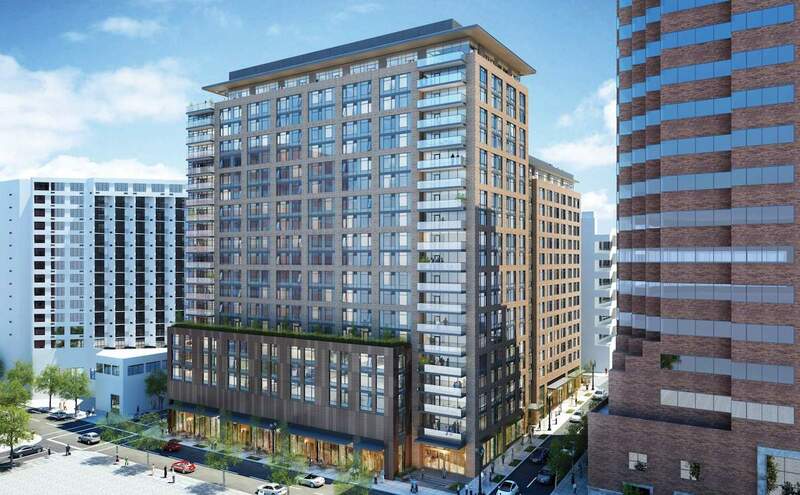 5 story on above grade parking , 113 apartments over a podium level containing 101 parking spaces, 2 loading spaces.